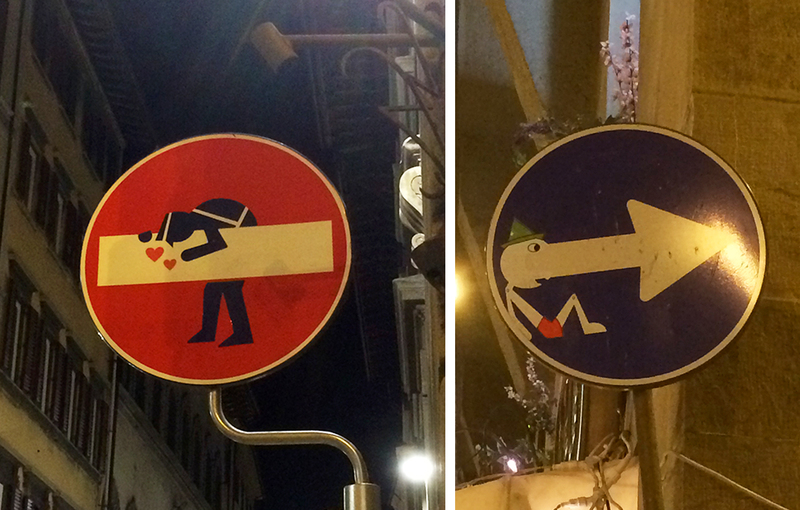 The traffic signs in Florence may have visitors doing a double take. 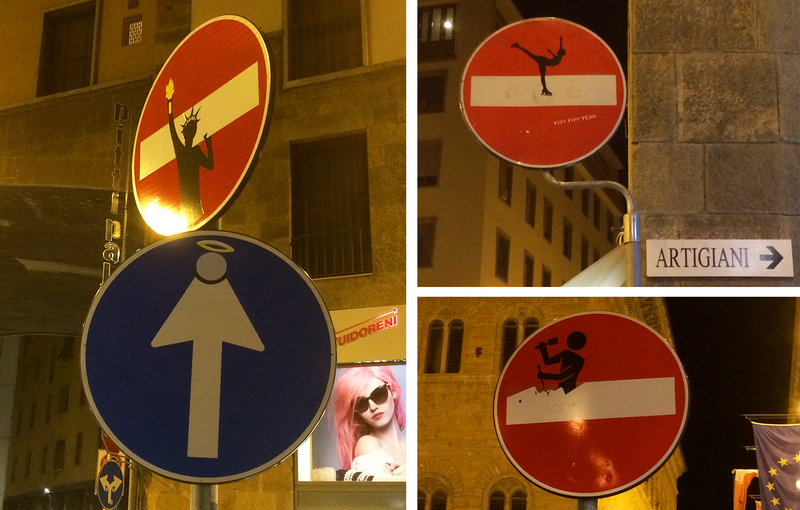 That’s because a closer look at the familiar black silhouettes, white bars and bold colored signs that are meant to communicate functional traffic instructions have been transformed into whimsical art that takes on a second meaning. 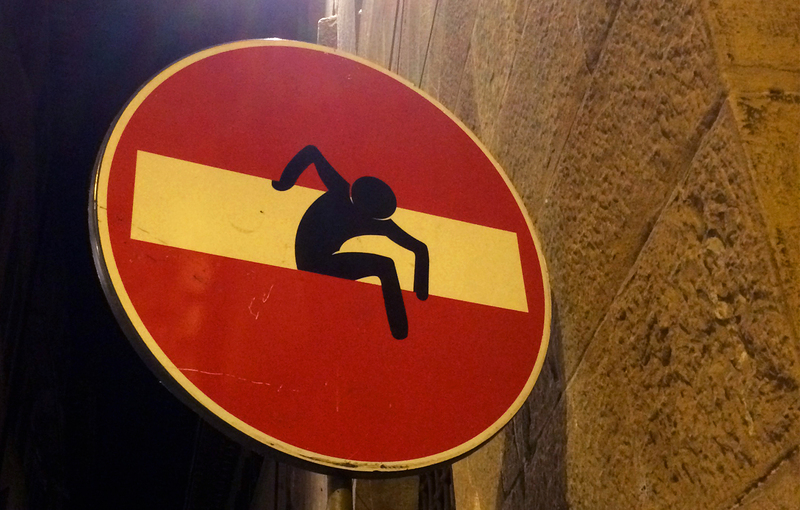 These humorous and slightly tongue-in-cheek signs are the work of French artist Clet Abraham who has been living in Italy for more than 20 years. 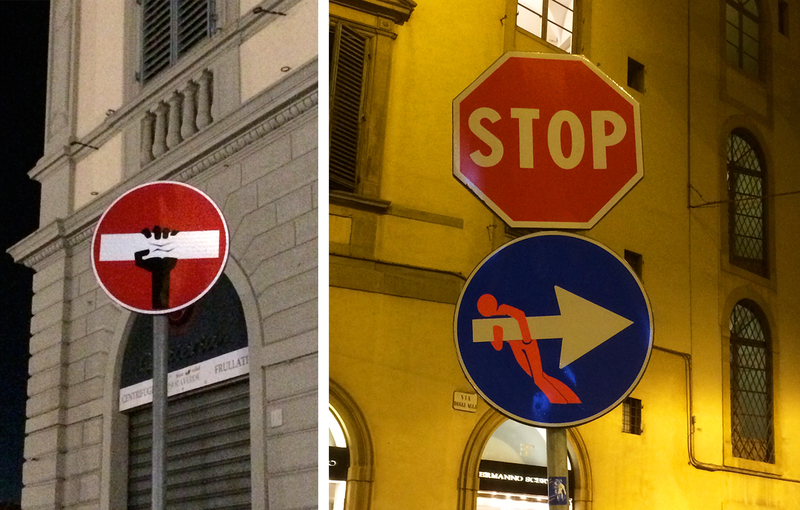 Since 2010 Clet has been secretly adding (removable) stickers to traffic signs around Florence at night. The monochrome monotony of no entry and right turns suddenly become love-struck police officers and Pinnochio’s growing nose. The signs are an interesting contrast to the historical art and architecture that Florence is known for, but fitting since the city is a place where creatives have flourished for centuries. Clet’s says his work is not graffiti, rather it’s intended to create a dialogue, and has generally been accepted by the Florence municipal government. His art also begin to pop up in other European cities as well as New York. Cool! A quirky touch on such an elegant city.